Reliance offers two types of Jio international roaming recharge plans - unlimited packs and global pack. Under unlimited packs category, the telco offers three plans that are applicable for 20 countries. 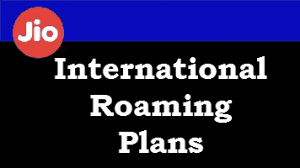 Above mentioned Unlimited international roaming packs mentioned above are valid in 20 countries which are as follows: Czech Republic, Germany, Greece, Hungary, Ireland, Italy, Malaysia, Netherlands, New Zealand, Philippines, Portugal, Romania, Singapore, Spain, Sri Lanka, Thailand, Turkey, United Arab Emirates, United Kingdom and United States. Under this plan, which is applicable for 170 countries, Reliance Jio offers international roaming usage worth Rs. 1,121. This global pack comes with a validity of 28 days and charges data, voice calling and SMSes at a starting rate of Rs. 2.